When you have “hippie” in your album title, there can be a certain ownership with that word and corresponding sound. It contains multitudes musically of doped out jam bands dredging up peace, love and endless guitar solos. A Woodstock Nation that turns on, tunes in, and drops out. 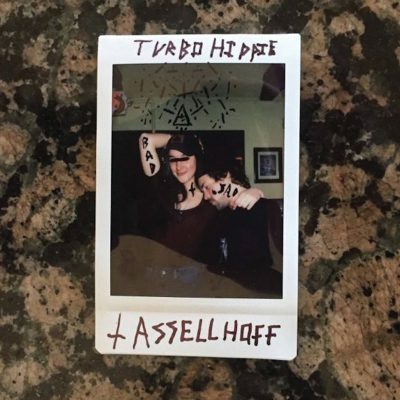 Tassellhoff’s Turbo Hippie is none of the above. Not even close. Turbo Hippie is a psych-rock hatchet job that cuts its tone deep by hacking away at a perfect blend of dark, swampy fuzz with razor sharp-guitars that catch and release with an effective balance that allow enough space for the shape shifting vocals to breathe life into the songs. The vocals move mysteriously, sometimes like they are coming from the other side of the room, or echoed off of tiled walls from a back-corner basement shower stall. At times, the vocals show up in an emotionless talk/sing, post-punk delivery and at other times it attacks with a scratchy, mangled murder-growl that sounds like Kurt Cobain crushing those Meat Puppets songs during Unplugged-era Nirvana.